Song of the day: Palmdale – "Here Comes Summer"
I was going to return to Australian content after the last two days of continental tunes but I felt compelled to pester you with this. Anyway, I want to focus on Palmdale today because their songs knocked me out (so to speak – I wasn’t actually concussed or anything). Palmdale, I discovered two days ago (thanks, Powerpopaholic! 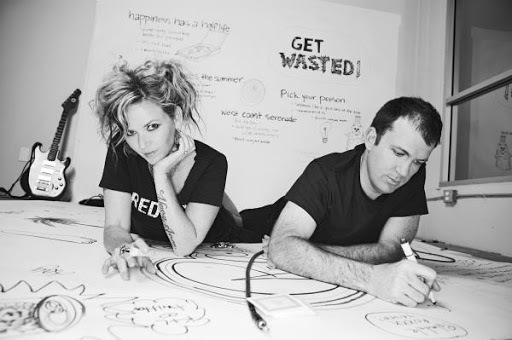 ), is a duo comprising Kay Hanley and Linus of Hollywood. They’ve just released a five-track EP called Get Wasted!, and all of it is available in a playlist thingy (see below). You are currently browsing the archives for the Palmdale category.